There are no strings attached to NA. We are not affiliated with any other organizations. We have no initiation fees or dues, no pledges to sign, no promises to make to anyone. We are not connected with any political, religious, or law enforcement groups, and are under no surveillance at any time. Anyone may join us regardless of age, race, sexual identity, creed, religion, or lack of religion. We are not interested in what or how much you used or who your connections were, what you have done in the past, how much or how little you have, but only in what you want to do about your problem and how we can help. The newcomer is the most important person at any meeting, because we can only keep what we have by giving it away. We have learned from our group experience that those who keep coming to our meetings regularly stay clean. Most of us do not have to think twice about this question. We know! Our whole life and thinking was centered in drugs in one form or another — the getting and using and finding ways and means to get more. We lived to use and used to live. 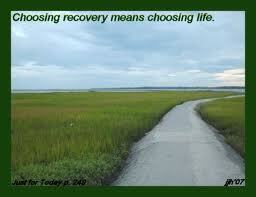 Very simply, an addict is a man or woman whose life is controlled by drugs. We are people in the grip of a continuing and progressive illness whose ends are always the same: jails, institutions, and death.